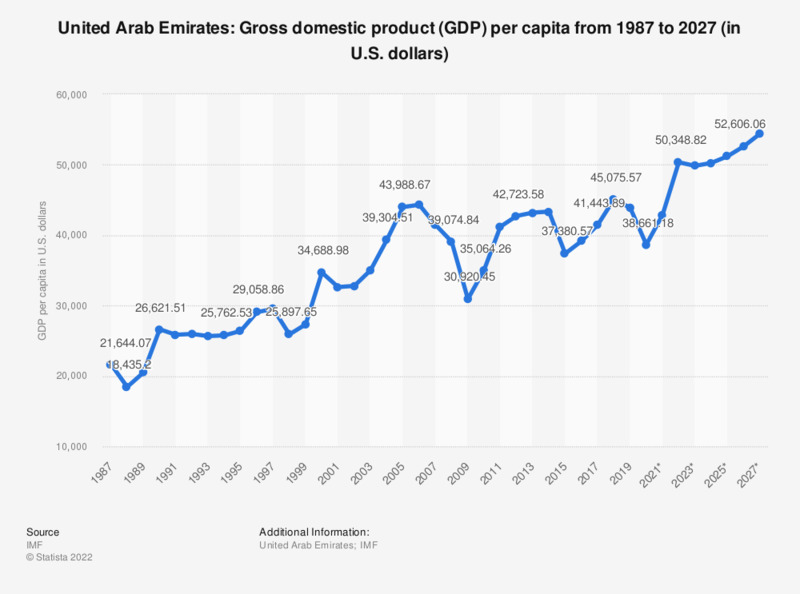 The statistic shows the United Arab Emirates' (UAE) gross domestic product per capita from 2012 to 2022. In 2017, The estimated United Arab Emirates' GDP amounted to approximately 37,732.66 U.S. dollars per capita. *All figures have been estimated.